The reason for Lanza’s interest in Zerzan’s writings is plainly evident in the call itself; Lanza calls to share a story about Travis the chimp, a domesticated chimpanzee that in 2009 “snapped,” and viciously attacked 55 year-old Charla Nash, a friend of the chimp’s owner. The attack was seemingly random, nearly cost the victim her life, and ended when the chimp was shot by police. Lanza outlines how the chimp’s violent episode can be explained by his upbringing “as if he were a [human] child”, and argues that Travis’s “civilized” upbringing was what led to his attack. LANZA: —and the implication is that there’s no way that anything could have gone wrong in this life if he were living in this civilization as a human, rather than a chimp. LANZA: Because, uh, he brings up questions about this whole process of child-raising. LANZA: Civilization isn’t something which just happens to gently exist without us having to do anything, because every newborn child — human child — is born in a chimp-like state, and civilization is only sustained by conditioning them for years on end, so that they’ll accept it for what it is, and since we’ve gone through this conditioning, we can observe a human family raising a human child –and I’m sure that even you have trouble intuitively seeing it as something unnatural– but when we see a chimp in that position, we immediately know that there’s something profoundly wrong with the situation. And it’s easy to say there’s something wrong with it simply because it’s a chimp, but what’s the real difference between us and our closest relatives? Travis wasn’t an untamed monster at all. Um, he wasn’t just feigning domestication, he was civilized. Um, he was able to integrate into society, he was a chimp actor when he was younger, and his owner drove him around the city frequently in association with her towing business, where he met many different people, and got along with everyone. If Travis had been some nasty monster all his life, it would have been widely reported. But, to the contrary, it seems like everyone who knew him said how shocked they were that Travis had been so savage, because they knew him as a sweet child, and… there were two isolated incidents early in his life where he acted aggressively, but… summarizing them would take too long, so basically I’ll just say that he didn’t really any differently than a human child would, and the people who would use that as an indictment against having chimps live as humans do wouldn’t apply the same thing to humans, so it’s just kind of irrelevant. LANZA: But anyway, look what civilization did to him: it had the same exact effect on him as it has on humans. He was profoundly sick, in every sense of the term, and he had to resort to these surrogate activities like watching baseball, and looking at pictures on a computer screen, and taking Xanax. He was a complete mess. LANZA: And his attack wasn’t simply because he was a senselessly violent, impulsive chimp. Uhm, which was how his behavior was universally portrayed. Um, immediately before the attack, he had desperately been wanting his owner to drive him somewhere, and the best reason I can think of for why he would want that, looking at his entire life, would be that… some little thing he experienced was the last straw, and he was overwhelmed at the life that he had, and he wanted to get out of it by changing his environment, and the best way that he knew how to deal with that was getting his owner to drive him somewhere else. LANZA: And when his owner’s… owner’s friend, arrived, he knew that she was trying to coax him back into his place of domestication, and he couldn’t handle that, so he attacked her, and anyone else who approached them. And dismissing his attack as simply being the senseless violence and impulsiveness of a chimp, instead of a human, is wishful thinking at best. LANZA: –and, actual humans… I just- just don’t think it would be such a stretch to say that he very well could have been a teenage mall shooter or something like that. You have these extreme sociological phenomena like mass shootings that seem to occur with some regularity now. It seems to me that when you no longer have community, and you know longer have solidarity, then almost anything can happen. And the technology is not helping. It’s no substitute for real cohesion and connection. Everybody uses that term – every politician, every developer – talks about community, but it’s disappeared with the advent of mass society. 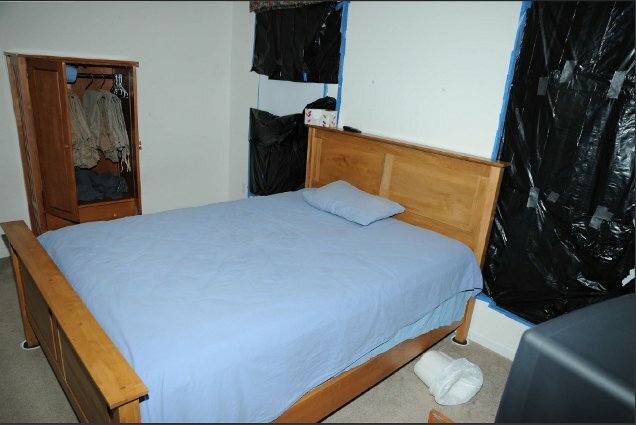 Part II: How do I know that “Greg” is Adam Lanza? In the course of my own investigation, I have determined that this Columbine focused “blog”, or at least one of them, was in fact Shocked Beyond Belief, a forum which has the full title “The new home of the Super Columbine Massacre RPG Discussion Forum” – and his username was Smiggles. Smiggles re-visits the thread several times, posting new replies. I should call in on John Zerzan’s radio program about Travis. I’m really surprised that I haven’t been able to find anything he’s written or said about the incident, considering how often he brings up random acts of violence. It seems like Travis would be a poster-chimp of his philosophy. My call starts at 38:00. So, that is my source for proving that Adam Lanza and “Greg” are one and the same: Adam Lanza himself. “Self” is a delusion and life cannot be anything other than suffering. This entry was posted in Uncategorized and tagged adam lanza, anarchyradio, John Zerzan, sandy hook motive, sandy hook shooting, Smiggles. Bookmark the permalink. Pingback: Scallywag and Vagabond | Adam Lanza told face eating chimp is like a teenager mall shooter on live radio.